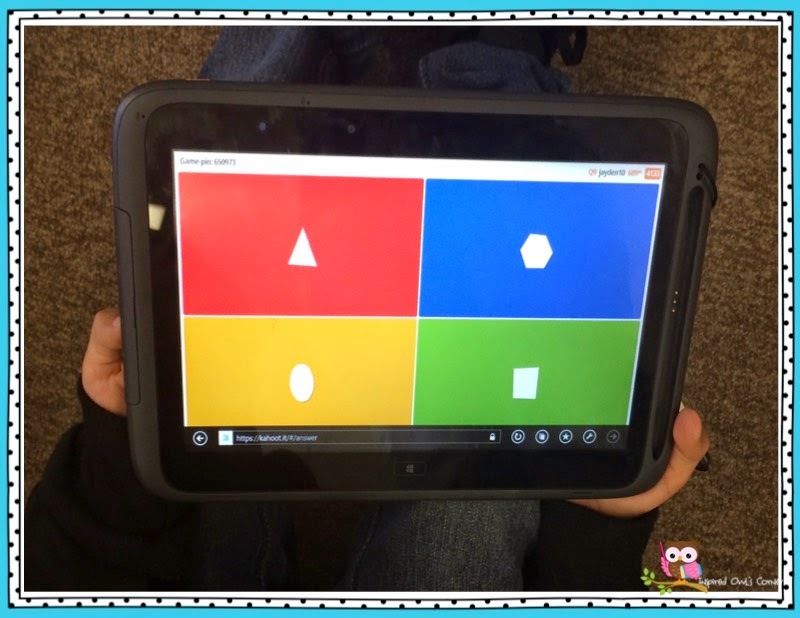 Today I'm going to share with you a website that has added so much fun to my students' learning. 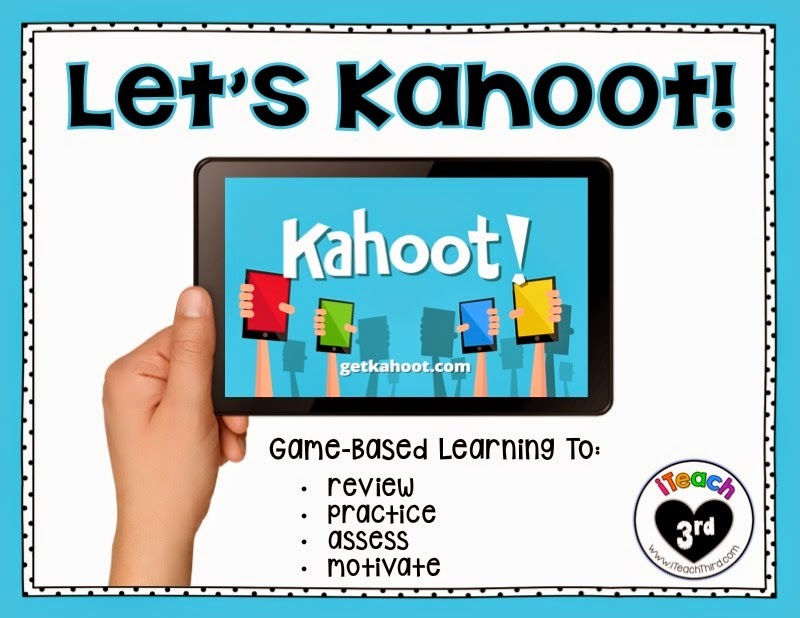 Kahoot is a game-based classroom response system that can be used for review, practice and formative and summative assessment. 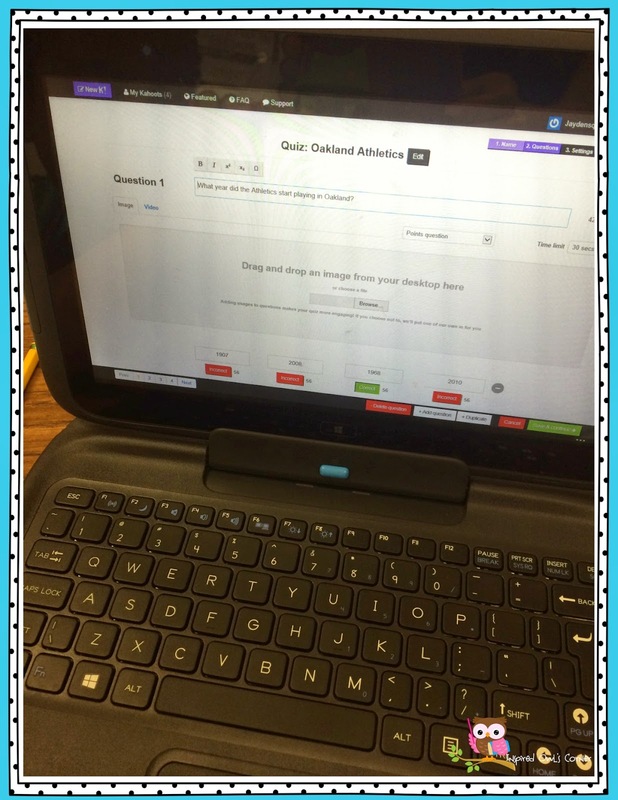 It can give a quick snapshot of students' learning or need for additional teaching. It has added a new element of excitement to my classroom. In fact, students even ask to play it for fun! 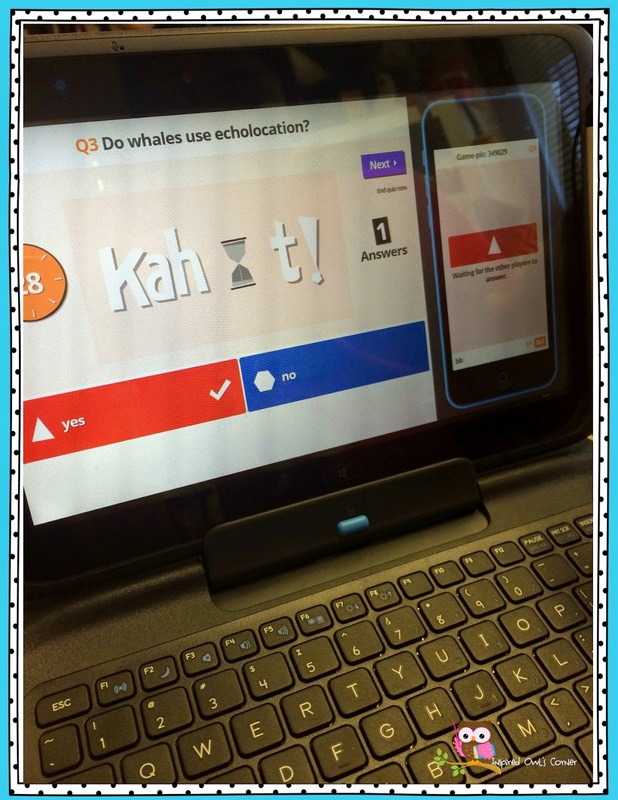 I recently began having my students make their own Kahoots to show what they have learned. These have been perfect as final projects for our Genius Research Projects. 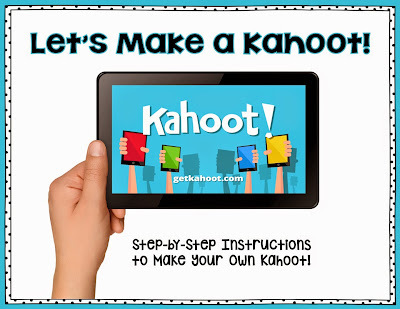 Students could also work in groups to create Kahoots. What a great way to get students motivated to show all they have learned! 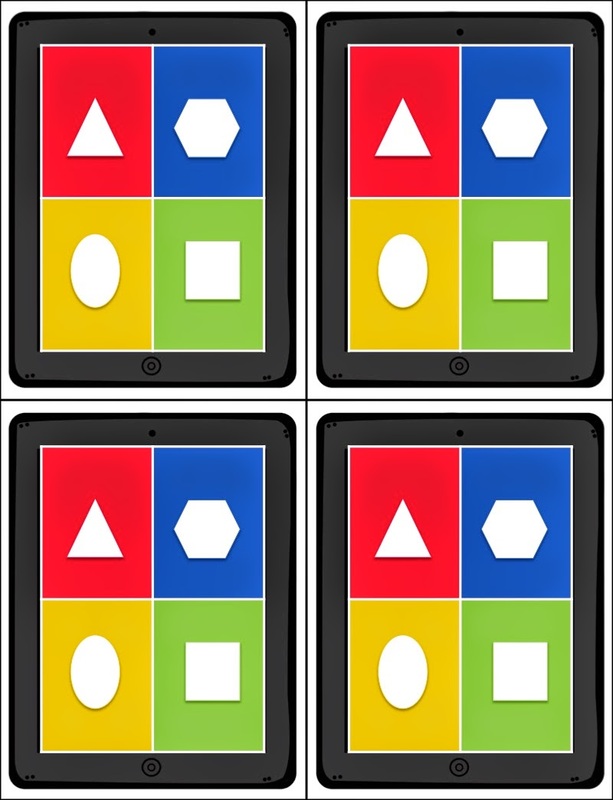 This is what the students' devices look like during play. They choose the color for the correct answer. Messages appear throughout the game letting the students know how they are doing compared to others. My entire district received 1:1 devices this year, but I know not every classroom has enough devices for every student. If you have a few iPads, iPods, or other devices available to your students, you could have them work in teams and play Kahoots you give them or have them create their own Kahoots. Students can even bring their own devices from home and link up with you over wi-fi. If all you have is your computer and you are able to project from it, you could use the free printable tablets I created below. 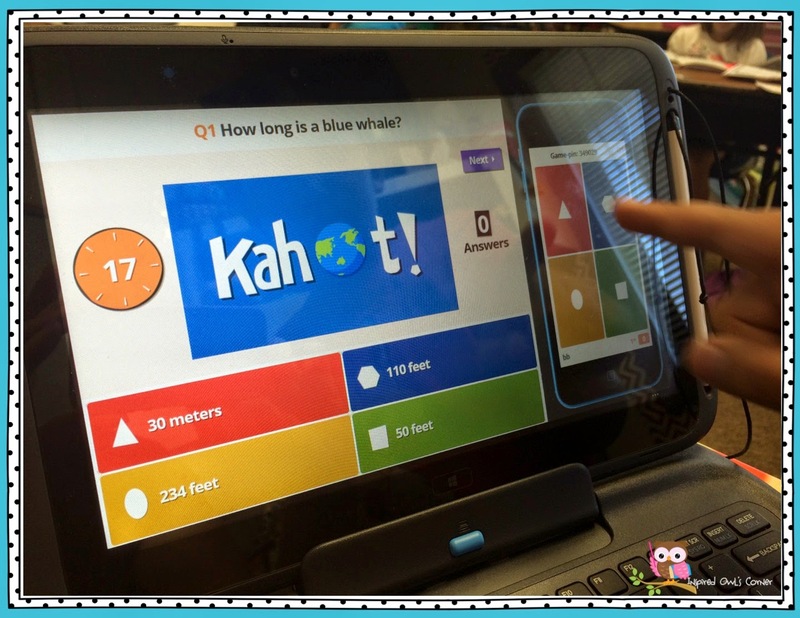 Students can point to the color or shape and you could still use Kahoot to quickly assess their learning that way. 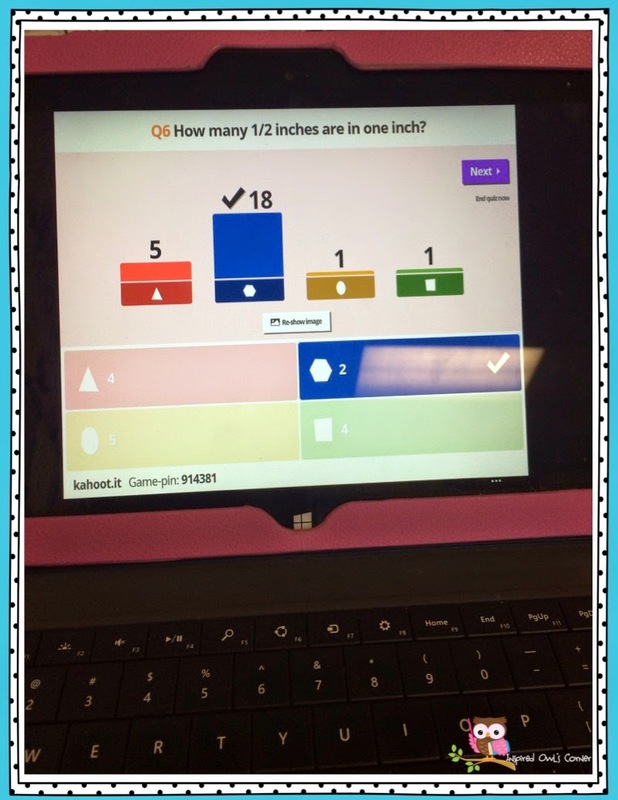 (You wouldn't be able to print out their individual assessment data, and you would have to choose the correct answer from your device for each question.) This would still be a great way to review. There are a few choices of sizes and color and black and white. 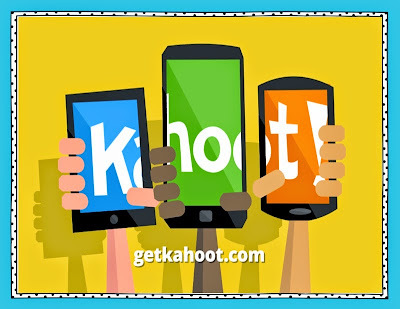 I hope Kahoot becomes a useful tool in your classroom. What other websites are must-haves in your teacher technology toolkit? I would love to hear what you use in your classroom!